Calling all fans of dinosaurs! 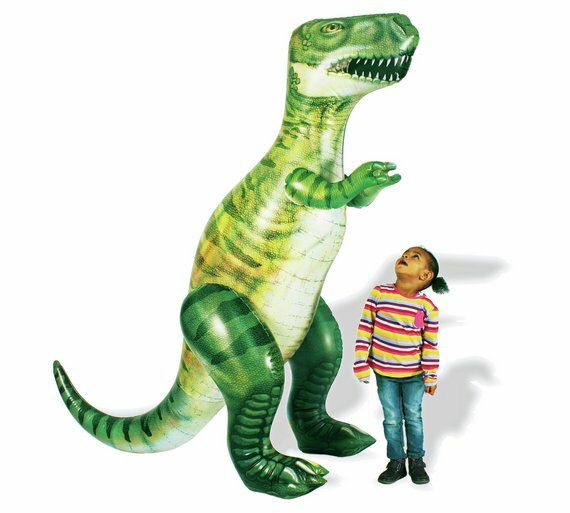 Our summer reading program for children will kick off on Monday, June 26 at 10:30 am when Dinoman takes us on a trip to the Mesozoic Era with magic, merry mayhem, and magnificent, life-size, inflatable dinosaurs. How do we know dinosaurs were here? Come find out! This program is fun and informative for all ages, but recommended for ages 4-12. No registration required.